REDUCED RATES AND MOVE IN SPECIAL!! Featuring 620 square foot one bedroom one bath apartments in either flat or two-story floor plan. All electric kitchens have stove range and oven, exhaust hood, dishwasher, refrigerator and a pantry closet. Upstairs units share large outdoor decks while downstairs units have private patios outside the master bedroom. 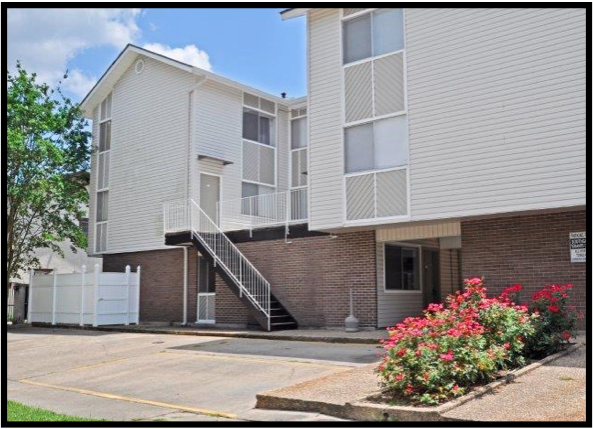 Central air and heat units keep our apartments comfortable year-round. All apartments are cable ready and laundry facilities are on site. Rent includes sewer, water, pest control service, termite service, dumpster service and appliance and mechanical maintenance. Vacant apartments undergo a thorough inspection and are painted, cleaned and carpets are steam cleaned before a new tenant moves in. Pets are not allowed and Section-8 rental agreements are not accepted. Parking lots are patrolled and parking permits are issued to ensure that tenants have adequate parking, especially on game day! Strict screening guidelines and excellent facilities maintenance promote a safe home in a safe neighborhood. Please call our office today at 225-927-1975 for more information! The Deposit is 1 month's rent. Flexible Lease terms with renewal options. 1 BR Townhome Available Now Only $725 per month! 1BR Flat Renovated w/Washer-Dryer, Granite, Microwave, Icemaker & Small Patio $925 Available Now!